Bathing in the thermal water helps the whole body to switch off and relax. 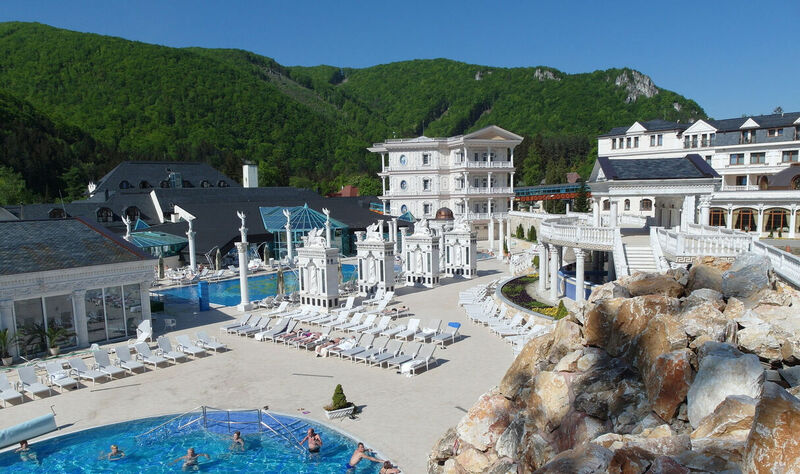 The Spa offers 3-5 star accommodation standards at the hotels Aphrodite Palace****, Royal Apartments Aphrodite Palace*****, Aphrodite****, Malá Fatra***, Villa Flóra***, and Villa Margaréta***. Medical wellness services and a wide array of healing, relaxation, and beauty programmes will satisfy even the most demanding clients. The modern balneotherapy centre at the Aphrodite Spa offers various types of massages, hydrotherapy with healing thermal water, electrotherapy, drinking cures, a sauna world, manicures, pedicures, as well as a luxury beauty centre that provides body and facial treatments in accordance with the latest trends. The biggest attractions are the indoor and outdoor pools, surrounded by magnificent, antique architecture. The delicious food available at the Aphrodite Palace hotel restaurant, the Apollo events hall by the outdoor pools, and the luxurious and multifunctional Cabaret Aphrodite Hall provide an excellent foundation for conferences and corporate events. The spa can be enjoyed in any season. Lovers of active relaxation will appreciate the numerous hiking and biking trails with beautiful views of the surroundings, as well as the proximity to winter ski resorts. 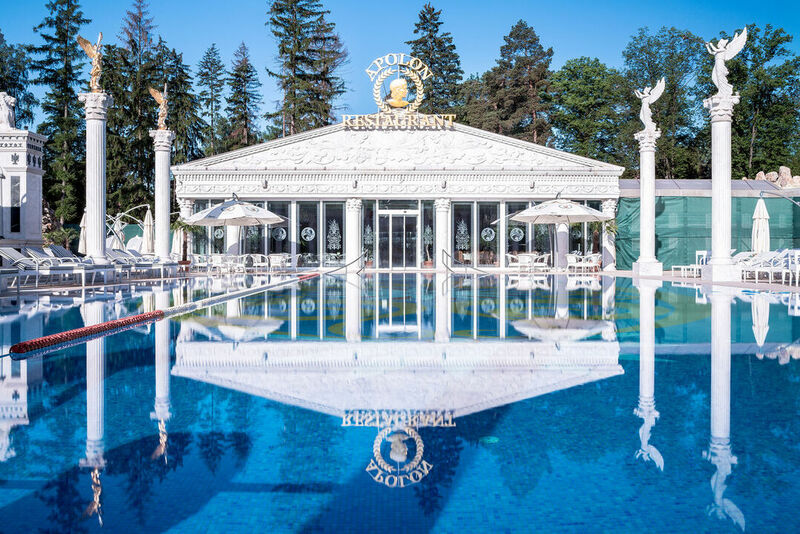 In summer, you can enjoy swimming in the open-air pool with thermal water and the pleasant atmosphere of the well-groomed spa park and the spa town.